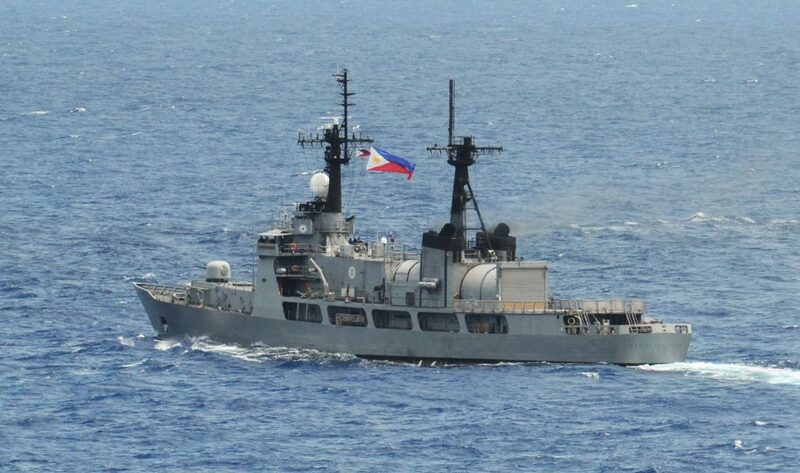 MANILA – Efforts are underway to ensure that the frigate, BRP Gregorio del Pilar (FF-15), which was damaged after it ran aground at the Hasa-Hasa (Half-Moon) Shoal on Aug. 29, is made operational at the soonest time, Philippine Navy (PN) spokesperson said. "It is being targeted that the ship will be restored to its operational status soonest," Commander Jonathan Zata told the Philippine News Agency (PNA) Wednesday when asked for updates on the flagship. Zata said the ship was already placed in dry-dock Sunday and has undergone the necessary inspections. "From the inspections made, the two controllable pitch propellers will be replaced and repairs on the bottom appendages, such as shaftings and related parts, (will be done)," he added. Zata earlier said the US will extend assistance in repairing the damaged ship. "The logistics support agreement provides us the means to source critical and highly specialized spare parts needed by our ships together with the technical expertise required," Zata added. The BRP Gregorio del Pilar was towed from Hasa-Hasa Shoal midnight of Sept. 3 and arrived in Subic Bay for inspection and repairs last September 7. It is one of three Hamilton-class cutters acquired by the PN from the United States Coast Guard and converted into frigates. Each ship has a gross tonnage of 3,250 tons, a length of 378 feet, beam of 43 feet, and draft of 15 feet while its propulsion systems consist of two diesel engines and two gas turbine engines, giving it a top speed of 29 knots.